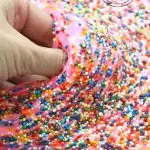 Home » Slime Recipes » Make Glitter Slime Without Glitter Glue! 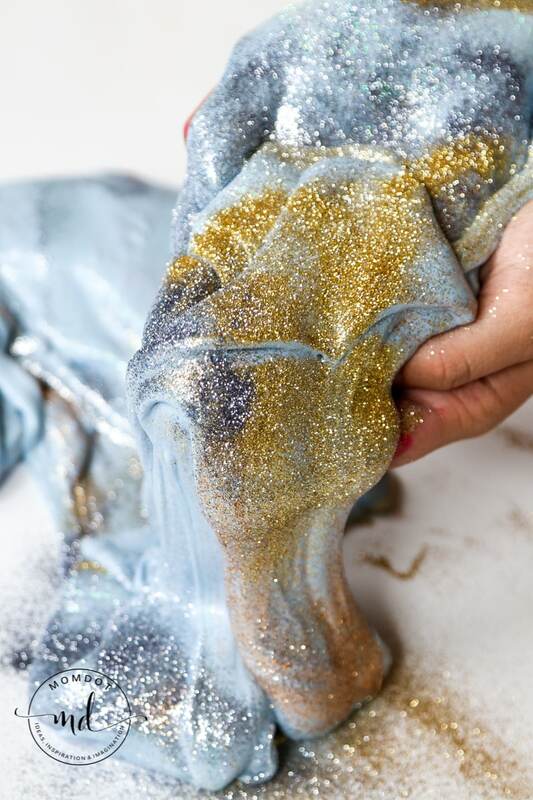 Make Glitter Slime Without Glitter Glue! Make Glitter Slime and customize the glitter color easily! 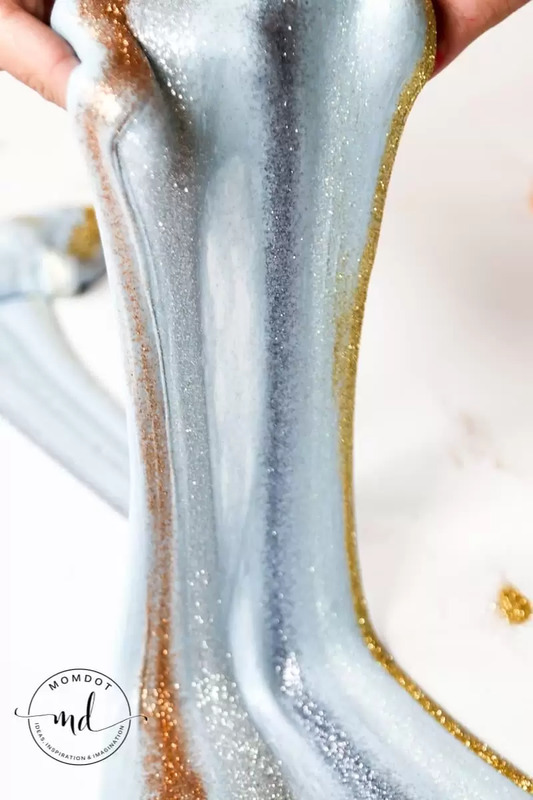 You can make glitter slime without glitter glue and create gorgeous stripes and beautiful shine by using fine glitter like this metallic chrome version. 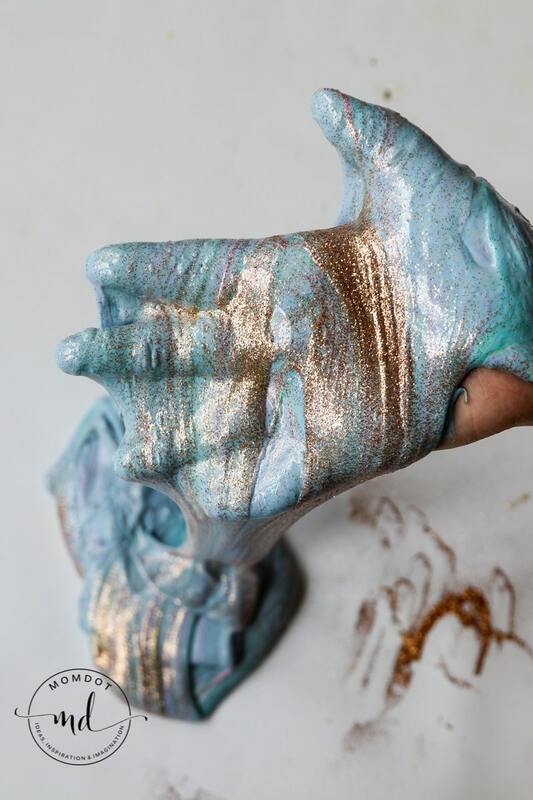 Look below to see how adding glitter directly to your already made slime can provide a shimmer and shine that is enjoyable for all slime creators. 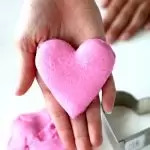 Making slime is one of the most fun crafts there is out there. 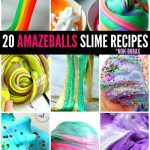 Slime recipes can be ooey and gooey, creepy and crawly or just plan amazing. 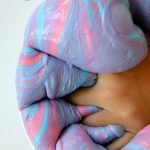 No matter whether you are giving out slime as a Halloween favor this year or making zombie slime to gross out your friends, there is no reason to put away the glue this holiday season. Learning how to make slime is so fun! Now every time people make glitter slime they typically do it with glitter glue. 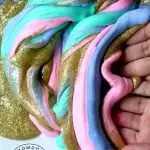 It is convenient to create glitter slime this way as the glitter is typically pre-mixed into clear glues and can easily come out the colors you want. This can make for some fun slimes like this Pot O Gold Slime here. But what happens when you want to do a color other than pink, blue or purple? I personally love these chromatic fine grain glitters but they do not come in pre-made glue options. You do not have to fret! 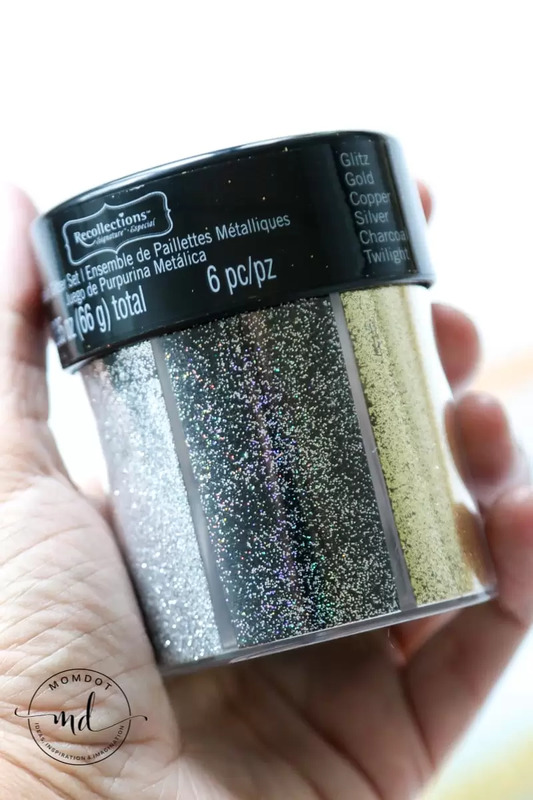 You can still easily mix metallic glitter with your own clear glues OR add to pre-made starch glues to customize and play with glitter stripes right on your slime. Simply shake onto pre-made slime and then play. As the glitter disperses inside your slime, you can add more and more to play again and again! Making slime with LIQUID STARCH and glue is a ton easier than mixing borax to do it. 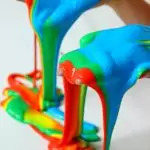 Simply use about 1/3rd cup starch in 1/2 cup glue (you can stir in some food coloring or paint to color before you add) and then add starch little by little until you get the slime consistency you want. We use red solo cups to do this and once its mostly sticky, we pull out of the cup and start to mix with our hands. If the slime is still sticky, that means it needs more liquid starch . Just add little by little until you get the consistency you need. Depending on how much glue we pour, it usually tends to be about a half a cup overall. 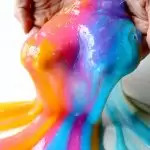 It can be pretty hard to find liquid starch so make sure you grab some next time you see it as well as a huge thing of glue so you can make tons of slime for all occasions. Buying this way is a lot more cost effective and once you start making slime, you will def want to have glue on hand! 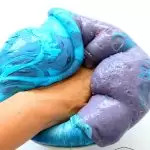 Once you have the hang of slime, you will want to make Easy Fluffy Slime, Mermaid Slime and even crunchy slime. The slime fun is seriously ENDLESS! So many people message me and ask me how I get slime so perfect…..well, it goes through stages and some people quit before they get to the slimy stage! I did a video showing you what you can expect when you create your slime. It’s a lot easier than you think.I think you will like this video and it will help get you less frustrated in creating slime and figuring out the direction you are going. Please note this video is specifically about using WHITE glue. Clear glues and glitter glues are a different consistency and need more starch than in this video.